Getting ready for going outside and the pimple appeared on your face makes your day messy. Now what should you have to do? Make sure not to press the pimple as to stop the situation begin to worse. Many makeup foundations and concealers are available to hide the marks on your face like pimples, acne, scars, dark circles and patches. There are some steps you must be followed them before using these makeup products. Ice cube is necessary to do as a first step as it reduces the redness and inflammation of pimples. You can use ice cube by wrapping it in a cotton cloth or tissue then dab it gently on your pimples at least for one minute. Take a break then repeat it again for 2 – 3 times. Eye drops is another option to reduce the redness of pimples. It works as a vasoconstrictor and has long lasting effects as compare to the ice cube. You would have to soak a cotton bud (Q-Tip) in the solution of eye drops, place it on your pimples then press it with the gentle motion of your hands for about 15 - 20 seconds. 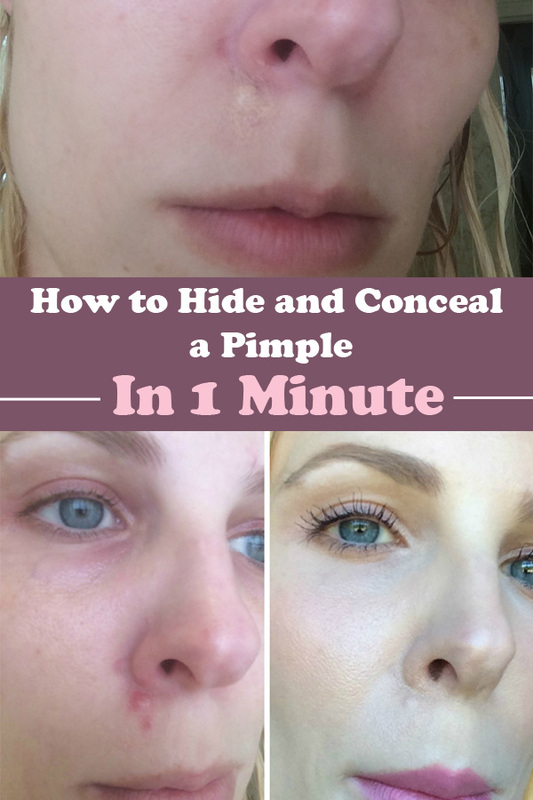 Now the time comes when you can easily cover your pimples using the concealers.